Water electrolysers will play a major role in our low carbon future and Amalyst is working hard to help reduce the cost of the technology. Whether supported or unsupported, Amalyst’s AMCAT H range of catalysts are true drop-in replacements for Pt cathodes in PEM water electrolysers. Our customers are finding exciting performance at much lower cost than conventional Pt cathodes. 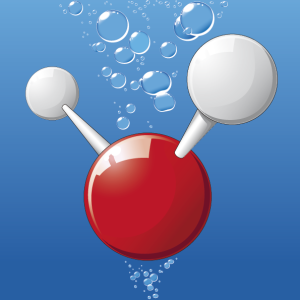 Water electrolysers generate hydrogen from water and electricity. If the electricity used is from renewable sources, the hydrogen produced is a carbon-free fuel. Water electrolysis has already been used for decades in a range of applications including generating hydrogen as a chemical feedstock, power plant generator cooling and semiconductor fabrication. Perhaps most significantly for the future, water electrolysis can provide a carbon-free source of hydrogen which we can then use as a fuel for heating and power. Future uses of water electrolysers will help to manage the intermittency of renewable electricity and provide refuelling stations for hydrogen-powered cars. All over the world H2Mobility programmes are planning the deployment of a hydrogen fuelling infrastructure, with water electrolysers playing a significant role. Amalyst is working hard to reduce the cost of water electrolyser technology by providing an alternative to expensive platinum. Our AMCAT H series of catalysts are true drop-in replacements for platinum-based cathodes and can be supplied supported on high surface area carbons and graphites, or as high surface area catalyst blacks. They have consistently demonstrated at least as good performance as platinum for the evolution of hydrogen. Our customers are finding exciting performance at much lower cost than conventional Pt cathodes. For further information on performance and to arrange an evaluation please contact us.